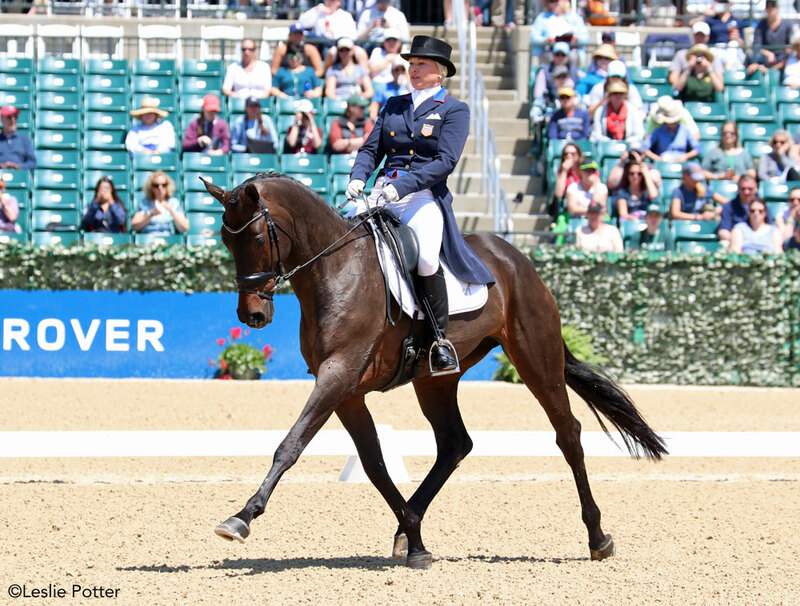 American Marilyn Little leads the way with RF Scandalous after the first phase of competition. 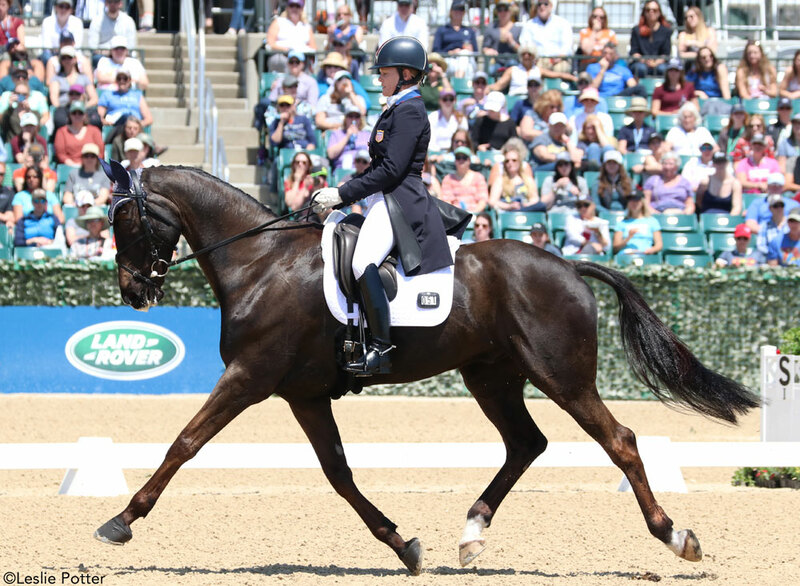 With blinged-out braids and movement to spare, RF Scandalous lit up the ring with rider Marilyn Little on the second day of dressage competition at the 2018 Land Rover Kentucky Three-Day Event. 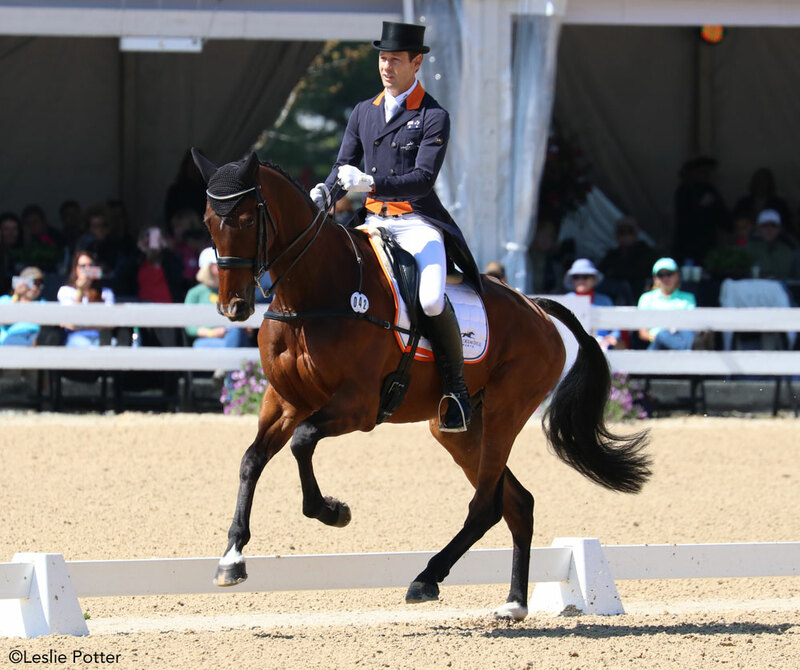 Their 24.8 penalty score was a personal best and put them in the lead ahead of three-time Kentucky champion, Michael Jung and fischerRocana FST of Germany. There are high expectations for Jung and Rocana. If they win this year, it would be an unprecedented fourth Kentucky victory. The pressure is on, but this pair seems at home in the Bluegrass. Jung says he always feels some pressure to do well in competition, but his longtime partnership with Rocana makes the experience a little bit easier. 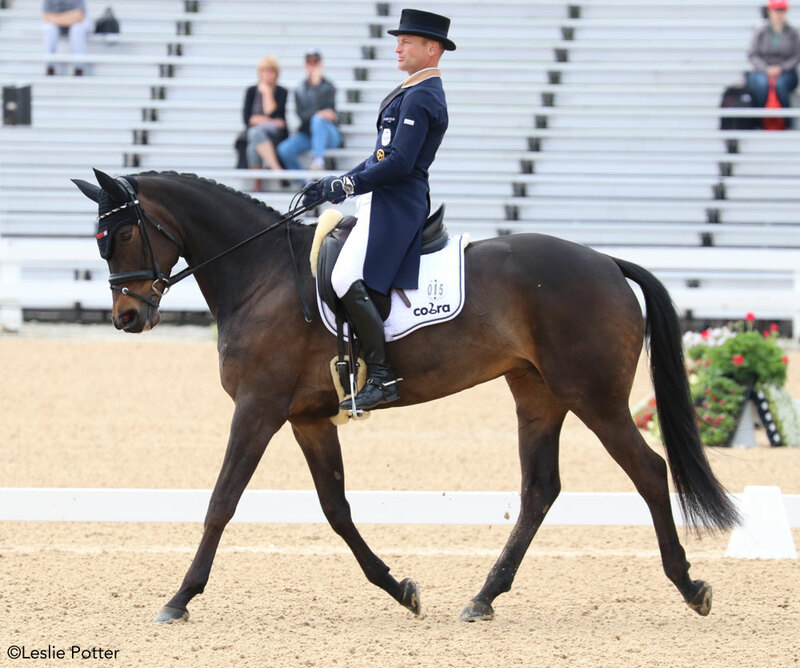 Sitting in third after dressage, Australia’s Christopher Burton is a top contender with Nobilis 18. America’s Kim Severson is currently in fourth place with Cooley Cross Border. 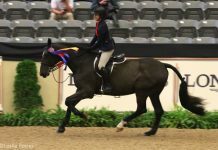 Severson is no stranger to Kentucky, having won the event three times with Winsome Adante in the early 2000s. 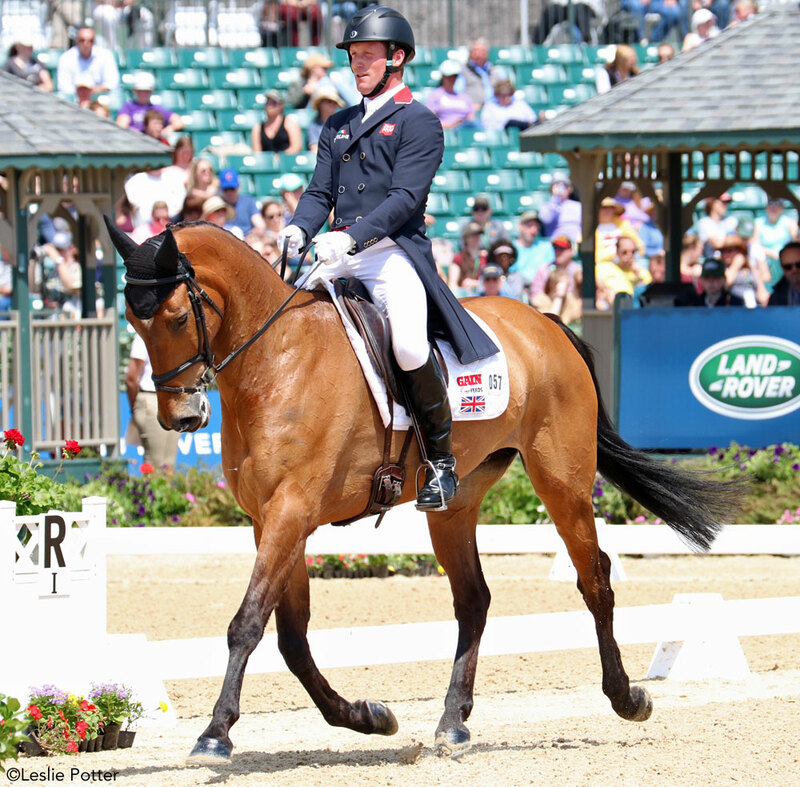 Oliver Townend of Great Britain rounds out the top five with Cooley Master Class. Townend is eyeing a shot at the Rolex Grand Slam of Eventing, which requires consecutive wins at Kentucky, Badminton, and Burghley. Townend won Burghley in the fall of 2017. 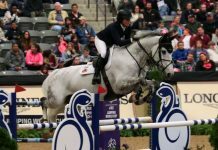 He’s back in Kentucky for the first time in 2010 when a tough fall on cross-country ended his Grand Slam bid that year. Cross-country begins at 11:00 a.m. ET on Saturday, April 28.